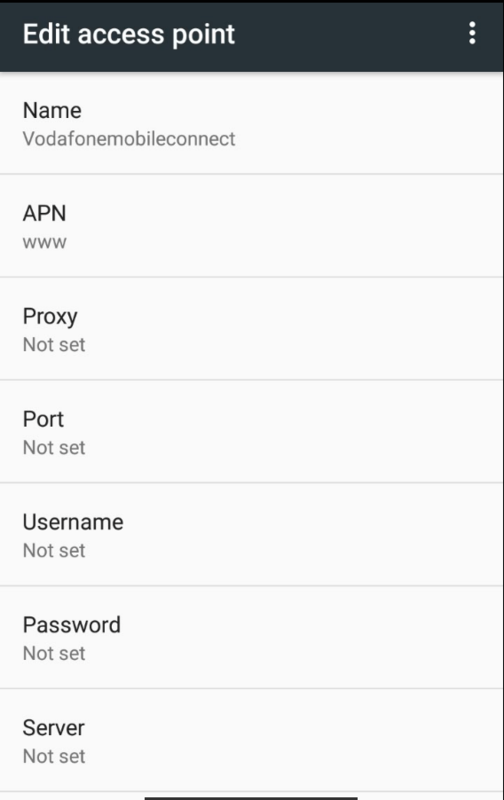 If you have enabled “Cellular Data”, but not able to connect to internet, then the mobile data toggle in notification tray will indicate via “exclamation mark” as shown in the below image. Also, the below image indicates that the cellular data is On, but the status is “Disconnected“. 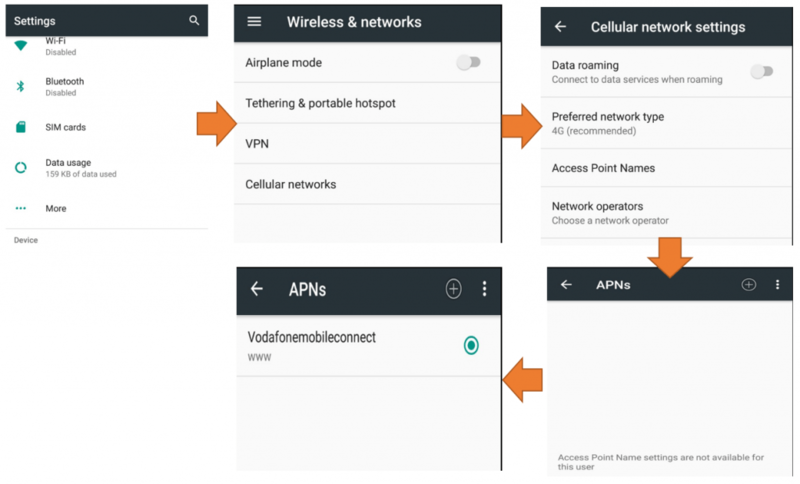 The most common reason for this problem is due to the missing “Access point” for your mobile carrier. To confirm, go to Settings > …More > Cellular networks > Access Point Names. Here you should see at least one access point added. If not, then it could be the reason for the issue. To fix the issue, add new access point using the ‘+‘ icon at the top. The rest of the fields can be left with default values. That’s it! Now you have created an “Access Point”. Try enabling the Cellular data and it should work.